Rewarding, difficult, frustrating and a whole bunch of fun - the game of golf can be all of those things. Do you know a golfer who doesn’t want to get better? The problem is they mostly don’t know how. That’s where golf instruction can make a difference. For example, when you go to the range, do you hit balls or do you practise? Ball hitting is just a nice exercise. It doesn’t improve your game. A proper practise routine does. Watch the video. One of the most difficult shots to execute is from the sand trap. There are so many factors to consider, lie, distance, uphill or down, condition of the sand, it can be overwhelming for any golfer! 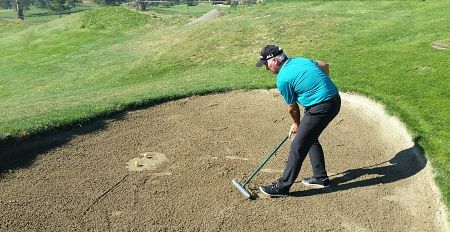 Here we demonstrate simple drills to help you learn the basics of sand play. The game of golf is supposed to be challenging, fun, somewhat relaxing and an opportunity to spend time with family and friends. Sometimes though, we don’t play the way we think we should. Our round to round consistency isn’t very good and our enjoyment level sags. Many of us grew up around a golf course or we picked up the game through friends and family. 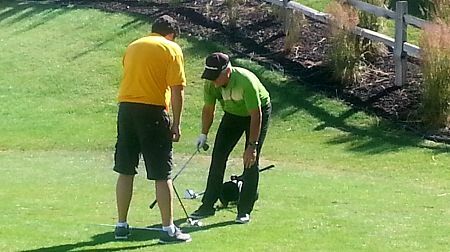 The one thing we didn’t do is learn good fundamentals from a professional golf coach. We developed habits based on feel. Overall game improvement takes time and it requires patience, dedication and a great attitude. By creating a game plan and sticking to your practice routine your golf swing will develop and the satisfaction at the end will be worth the effort!!! As the golf season gets into full swing we’ve had the opportunity to go out and play or practice to refresh our minds and bodies of with our golf swing and the habits that we carry forward from the previous season. Unfortunately the swing habits we have don’t always lead to the best shots or our best scores. We seem to go around and around looking for the secret but not knowing how to find it. We watch golf tournaments on TV, read magazines and study the golf channel infomercials in the hope that our swing or the newest tip will last longer than two weeks. It has been my experience from teaching, playing and observing the game that most amateurs don’t have a personal recipe for success. What I mean is most golfers don’t know what creates a good shot, a bad shot or how to practice to improve. Therefore the search for improvement is never-ending. All professional sports teams have a specific routine to prepare for their schedule. 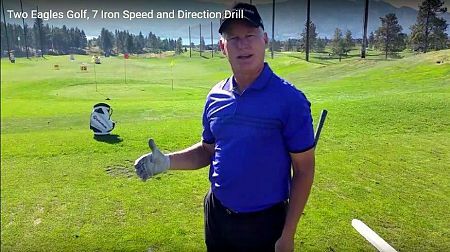 What I would like to introduce for all golfers is a short training session every time you practice at the range or at home in your rec room, garage or backyard. Now, look into a mirror and get a feeling for how athletic, ready and balanced you are to start your golf swing. 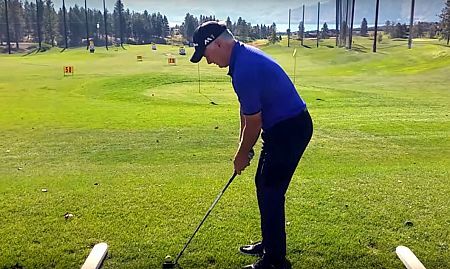 At the driving range, go through this recipe for your starting position after each shot. Work through the first 10 – 15 balls to become accustomed to it and to create a positive habit. Once you feel ready to add a next step, set up two clubs to represent railway tracks for your alignment, either use two individual clubs or alignment sticks that can be purchased at any retailer. Have your knees hips and shoulders on one track and the clubface and golf ball aiming at your target on the other. Presto a starting position fit for a golfer! 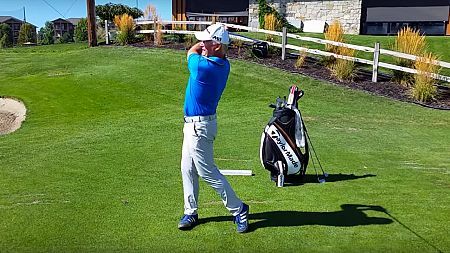 To continue the development of your golf swing start by attempting to understand what the clubface does to the direction of the ball and also how the path of your swing influences the ball flight in the direction of your target. Please pay attention if the ball goes in a different direction than your target. Was the clubface open or closed? Did the ball slice or hook? Ask yourself these little questions and then accept the challenge to do the opposite to create a new feeling in your swing. I would like you to understand what it feels like in your hands and arms when you swing the golf club. What influence do they have on the flight of the ball? I know as a golf instructor I shouldn’t talk about hands and arms because everyone writes about the body and the big muscles and how they influence the swing, but let’s educate our hands and arms first. Play around with aiming at different targets and different distances under 150 yards. Feel the contact you create and assess your finish position, balanced or not? Do you still have control of your grip or have your hands moved on the handle? All the little assessments are important because they allow us to understand our patterns of behavior or our habits, what good habits we have and what bad habits we have. 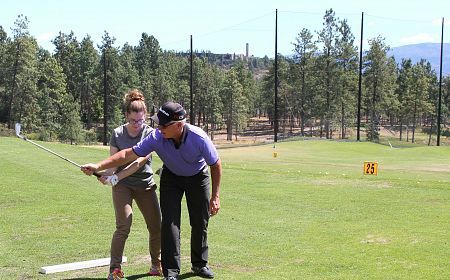 This knowledge will enable you to improve your golf swing! In my next article, we will continue our early season development to improved golf! These are the dog days. Spring is coming fast but not fast enough. The golf itch needs to be scratched. Mother Nature is in charge of when we’ll have opening day at Two Eagles, so for now it’s the couch, the channel changer and the pro tournaments. The player’s short games, chipping, putting and bunker play are fantastic!!! All pros hit shots offline whether it is a bad tee shot into the trees or an approach shot into a greenside bunker. It’s a part of the game for everyone. 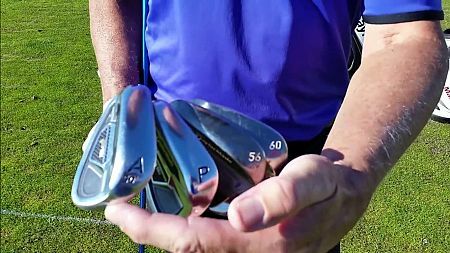 But, for tour players, it’s seldom two or three bad shots in a row. They have a wonderful ability to hit a reset button after a bad shot and play the next with confidence and trust. They have learned to believe in their abilities and understand that each hole in each round is unique. They have learned that their mental game needs to be maintained with confidence. It’s not a secret. How many times have you been near the green and blown a chip shot? Or, on the green in regulation and 3 putted? The good tour players get up and down approximately 80% of the time. In a recent tournament, Kevin Kisner made 38 of 38 putts from inside 5 feet. That takes practise and confidence. Ask yourself how challenging it would be to make 5 putts from 3 to 5 feet in a row and if you could make 10 out of 10 how that might positively influence your scorecard and handicap? Like other professional athletes do in their sports, the tour players follow a specific routine with their shots. 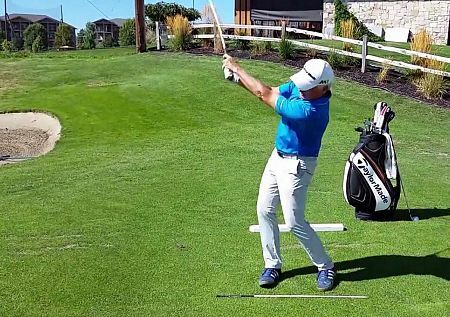 First, there is an assessment of the situation, yardage, wind direction, lie and so on, and then visualization or a rehearsal swing to create a feeling within the body or mind’s eye. The final stage of routine is execution of the shot. In a sense nothing too difficult to repeat – select the club, find a target, daydream the perfect shot and swing. The one challenge the weekend golfer faces is the mental discipline it takes to use this approach each and every shot. Study these men and women, they’re good. Watch for the subtleties not just the big swing and the 300 yard drive. Early in the new season, come to our practise facility and work on your short game. Don’t just practise what you are good at, improve your weaknesses. Then, in the early rounds, try standardizing a shot routine that becomes your personal approach to better golf. Through our Two Eagles Academy I have the opportunity to coach a wide variety of golfers, some just learning how to play the game and others who I would consider very good players. I always start with a conversation about basics. I believe fundamentals are most important to continued development and enjoyment of the game. Watching the tour players you may notice some individual characteristics in swings but for the most part all players have outstanding fundamentals. They are the building blocks required for skill development as they would be in other sports or activities. If the very best pay attention to these elements, why don’t you?